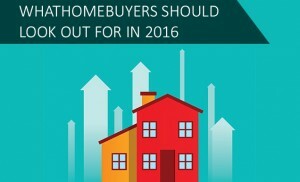 Summary: Read below for a glimpse into how buying homes will look like this year. Last year presented a challenge for all homebuyers with a decrease in housing values which in turn affected interest rates. This year brings opportunities to both the real estate market and prospective homebuyers as there will be loads of affordable homes early on in the year. In order for you to get the most out of your home buying experience, you need to seek out a preapproval from the lender of your choice. It’s important to handle these processes with haste as a quick and efficient close to this will allow you to proceed in looking at the real estate market. A house is typically going to be the largest single transaction that you’re going to be making in your lifetime. That being said, you’ll need to allocate a significant amount of money to a fund that’s solely dedicated to your home. The earlier that you start this up, the sooner you’ll be able to put down a payment to your home. Housing prices are expected to start leveling out and be sold quickly due to the equity values increasing over the years. With a large number of homes being put out on the market in the foreseeable future, buyers will experience less competition when searching for deals. The early months of 2016 are some of the best months to purchase a home. As expected, the Federal Reserve is looking to increase interest rates throughout this year. If they do begin to, the amount of affordable homes on the market will decrease as the rates continue to hike. Plan ahead and begin your search before these rates go up to save a significant amount of money. Bio: Kuba Jewgieniew is the head of Realty ONE Group, a brokerage firm that has made INC 500’s list of fastest growing companies for 6 years straight.